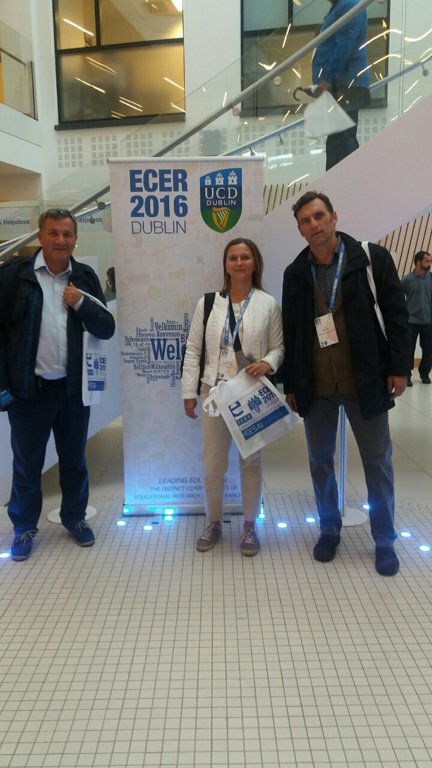 In a previous post, we wrote about the ECER conference and an upcoming talk stemming from the project (see here). We now present the second study from our team (authors: Toni Babarović, Dubravka Glasnović Gracin, Josip Burušić, Ivan Dević, Marija Šakić Velić), titled Personal Inputs and Contextual Supports as Predictors of STEM Aspirations among Boys and Girls. In this study, we used the Social Cognitive Career Theory (Lent, Brown and Hackett, 1994) as a theoretical framework to predict interest and intention to pursue STEM educational choices and careers among primary school students. This model encompasses measures of an individual's self-efficacy, outcome expectations, personal inputs and background, and contextual supports and/or barriers to explain reasoning behind students' academic or career choices. The main aim of the study was to test the hypothesis that the determinants of STEM career aspirations have different patterns for boys and girls. We used variables related to students' family characteristics and parental attitudes, peers influences, school achievement, attitudes toward STEM education in school, STEM self-concept, and STEM activities outside the schools in order to predict STEM career aspirations among boys and girls. We tested 360 primary school students (grades 6-8, age 12 to 15; M=13.32; 165 female) from three schools in one municipality in Croatia (Daruvar area), from 21 class units. The dependent variable was a measure of students' aspirations toward STEM careers as self-reported on a 5-point Likert-type scale. Hierarchical regression analyses were applied separately in boys’ and girls’ samples in order to predict aspirations toward STEM careers, including five blocks of predictors: (1) Family influences (family education status, parental ambitions and support, parental attitudes to science); (2) Self-concept in science and attitudes towards science in school (positive self-concept in science, negative self-concept in science, attitudes toward school science); (3) Peer support (peer attitudes to science, peer orientation to school); (4) School achievement (GPA from the previous grade, GPA in STEM subjects in previous grade); (5) – Out-of-school STEM attitudes and interests (positive image of scientists, negative image of scientists, interest for science out of school). The regression models in the boys’ and girls’ samples accounted for different percentages of variance in STEM careers aspirations (R2=.44 and R2=.21, respectively). In other words, the STEM career aspirations can be much better explained by the used set of predictors in the boys' sample. The highest incremental validity in both samples was observed for the second block of predictors - Self-concept in science and attitudes toward school science, which was still substantially higher for boys than for girls (ΔR2=.26 and ΔR2=.14, respectively). The significant predictors in the final step of regression model were substantially different for boys and for girls. For boys, interest for science out of school (β=.26); attitudes toward school science (β=.24), and negative self-concept in science (β=-.18) were shown to be significant, whereas in the girls' case, only interest for science out of school was such (β=.27). How do boys and girls interested in STEM careers differ? The boys like science subjects in school, have hobbies related to science, and do not have negative stereotypical images of scientists. The girls are highly intrinsically motivated: they have hobbies related to science, like school science and have higher marks in STEM subjects then other school subjects. Because our team have been very busy this year, expect a third study from the conference, titled The contribution of attitudes toward school science in explanation of achievement in STEM school subjects, to be reported on next!